End of Tenancy ? Hate Cleaning ? I can do it ! Weekly Domestic Household Help. Spring Cleaning . Rental inspection­s - Sale of Homes - I use safe cleaning products . Auckland City, Remuera, Glendowie, St Heliers, Mission Bay. Central Suburbs, Epsom, Newmarket, Ponsonby and Herne Bay. Mt Eden. CBD. Pakuranga. I require 48 hours of notice please.. Free most afternoons ..some mornings during school holidays. Best Phone me if urgent. Hi there - I have more than 10 years of experience providing Weekly and Fortnightly Residential Cleaning Services for many people in around Auckland CBD.....and if you are looking for a new Cleaner/Housekeeper, consider me. I can help you with a one off Move Out Clean or help with the Pending Sale of your Home or Helping you with a Property Manager Rental Inspection ..and I have many happy customers that can provide verbal references too..
Also- Check out my online references/ratings on www.nocowboys.co.nz - Stephens Home Cleaning Services. Need some Spring Cleaning for your Household or other Chores you have been putting off ? Kitchen or Showers ? Call Me Today to Book me in. I'm fussy, self directed, and I am careful with your treasured furniture etc. Give me 48 hrs notice and let me put the freshness back into your wonderful home soon or book me into your schedule . I've also done work for agents at Barfoot and Thompson in St Heliers, getting their clients homes ready for sale or for pre-bond inspections or exit cleans for their tenants. 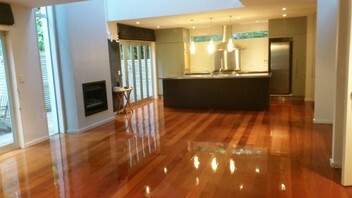 I know the standard required for rental property inspections and can advise you . I charge $40 an hour for detailed cleaning . I supply my own cleaning products and vacuum etc and other equipment and I am a sole trader. Most two bedroom apartments or small homes to do an Exit basic clean for Rental Inspection or Pre Sale for Staging will take me about 4 hours. ( $160) . I can do your windows and clean your oven and fridge too...etc.. I'm a strong ,hardworking mature kiwi man and love what I do for over ten years. Call me for an estimate or ...or pre book me now for your pending sale or exit clean..
Let me put the freshness back in your home soon ! Mob 0274 77 94 95.